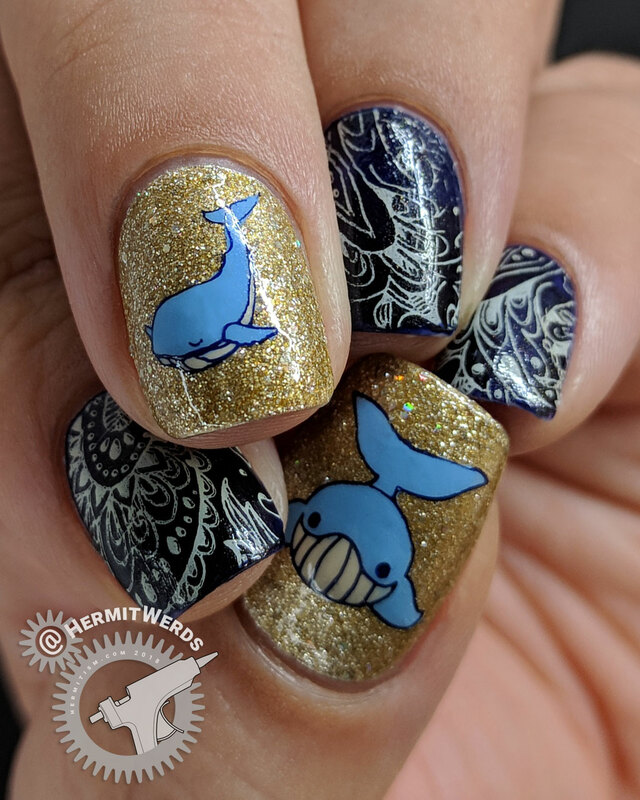 Today I bring you paisley and whales! Why? 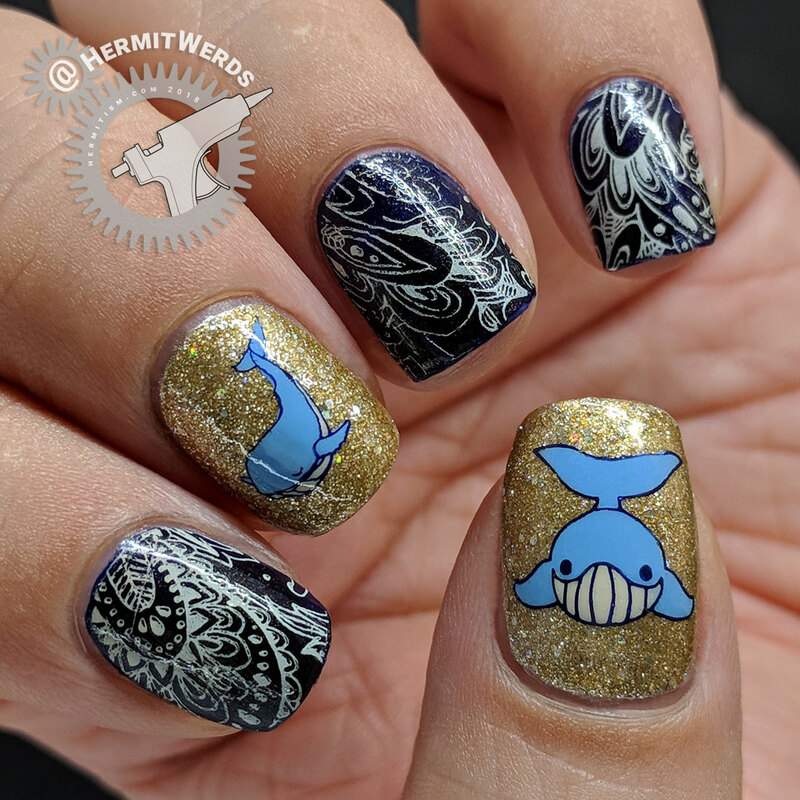 Well, #NailsWithIgFriends’ July host, Caroline (@gidwaney), picked Paisley and I just randomly added whales because it felt like a good idea at the time. This is the second time I’ve combined a large oceanic animal with a common fabric type/pattern in less than a month. I feel like I need to paint damask dolphins or sweater seals now. Pretty simple. I used only one layer of Sephora by OPI’s “Looks Like Rain, Dear” because I had gold painted underneath. Best way to reach opacity with a glitter, imo. I want to scream right now that, OMG! My nails are so short! But are they bitten down to the quick? No, no they are not. No bleeding or wincing for a few days because I took off too much. And I still have slight visible nail line! 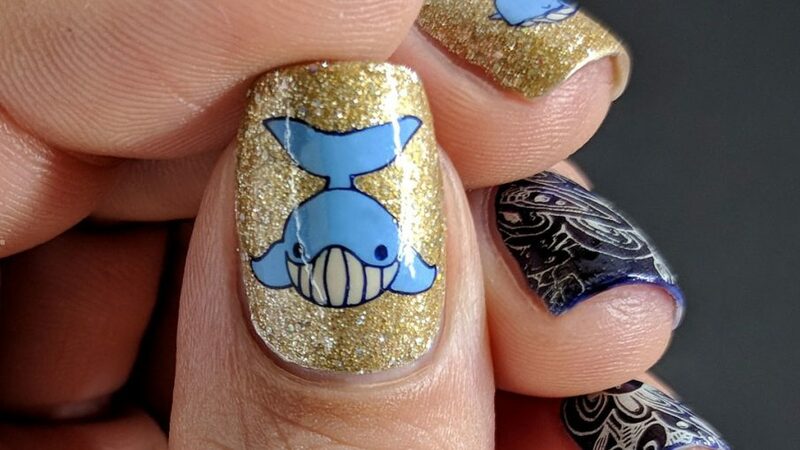 It’s amazing how a few years of nail art can change your perspective. 2cm long nails started to feel reasonable until I had to dig in the yard and move heavy boxes around. Now the tips of my fingers can touch things again! How weird! But I miss my long canvases, even if I kept struggling with them warping due to do all the typing I do. I wish I could have both length and mobility since false nails are not a good enough substitute for me. Well, that’s all for now! 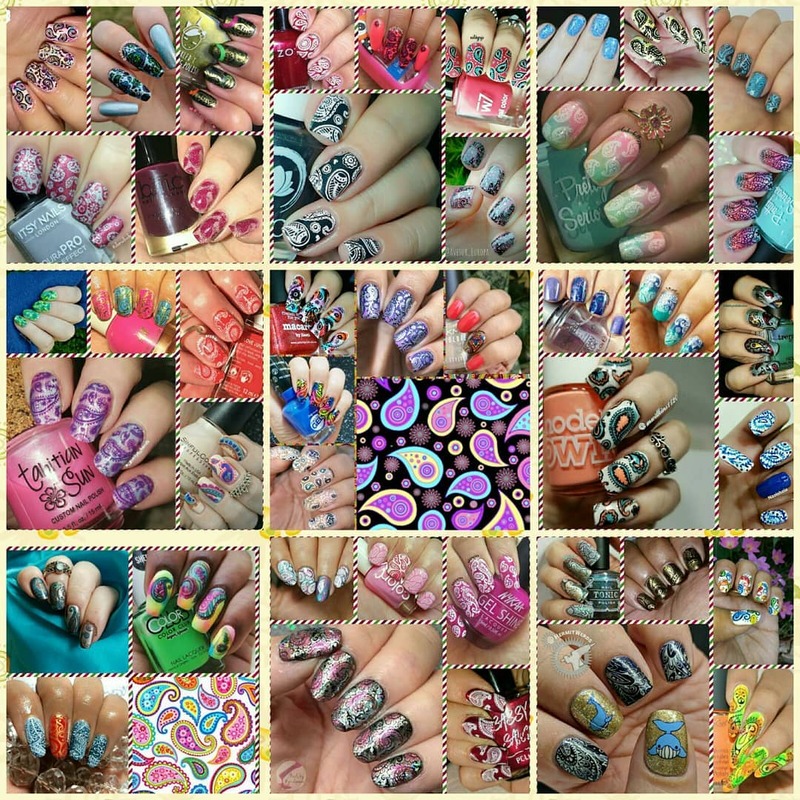 Check out all the other lovely paisley nails in the collage or visit the group tag.